A USB flash drive is a faster storage medium compared to CD or DVD. For some applications where speed matters, it’s always preferable to use a USB flash drive instead of regular optical storage media. One of these applications is of course, installing an operating system. Installing from a USB flash drive is noticeably faster than installing from optical media and it can also serve as a backup in case your CD/DVD drive fails. 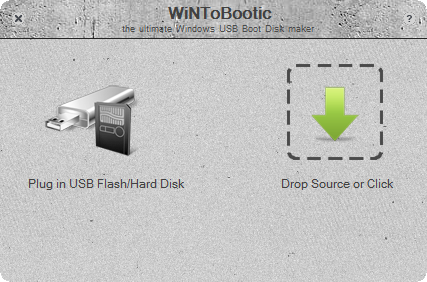 So here’s how to create a Windows bootable USB disk in a few simple steps! Step 1: Click here and download WiNToBootic. Step 2: Extract it where you want and run it. Step 3: You should see a screen like the one below. 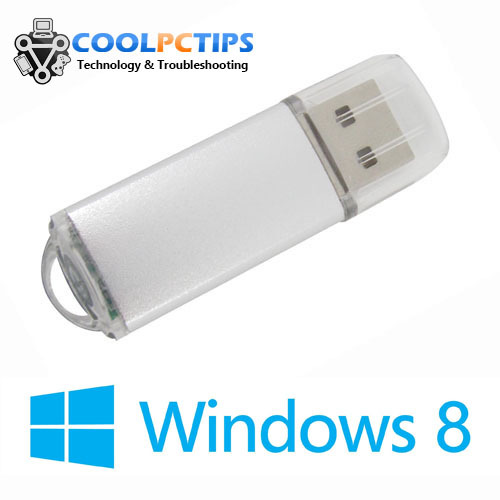 Step 4: Plug in the USB drive you want to use as the Windows bootable USB disk, make sure that it’s empty. Step 5: Now select your source file or directory. Here you can select an ISO image or if you don’t have one, simply select the folder where all the installation files are available. Step 6: Click “Do it!” and wait for the process to complete, it might take a while. Once this is done, your USB flash drive should be ready to install Windows wherever you want. It’s always good to keep one USB flash drive as backup with the setup of your operating system of choice in case of any failures, since you can even run automatic or manual startup repair from it instead of installing a completely new copy of it. It’s even helpful if you want to install an operating system on ultrabooks or notebooks with no optical disk drive included. For best results, use a USB 3.0 flash drive and of course, plug it into a USB 3.0 port on your PC or laptop. So that was how to create a Windows bootable USB disk, please let us know if you have any queries! Hi Rahul, I thank you for the link of WiNToBootic. I have already downloaded it and save it on my usb. This may be really useful in case of any failures on my computer. Such a great tool! Thanks mate! Hey Rahul, I know windows xp needs a program to be written into usb. But win 7 and 8 are readily bootable I think because recently I tried copying the contents of a bootable win 7 image file into usb and it worked! I don’t really understand this ?! The Windows 7 USB DVD tool accepts only ISO images as source, this lets you use extracted files in a directory as well.